I’m the first to admit that my car could be cleaner. Being a soccer coach and avid fisho means mud and sand are constant features. Both are a constant excuse for not cleaning it either. Thankfully I take a more active approach when it comes to my house. 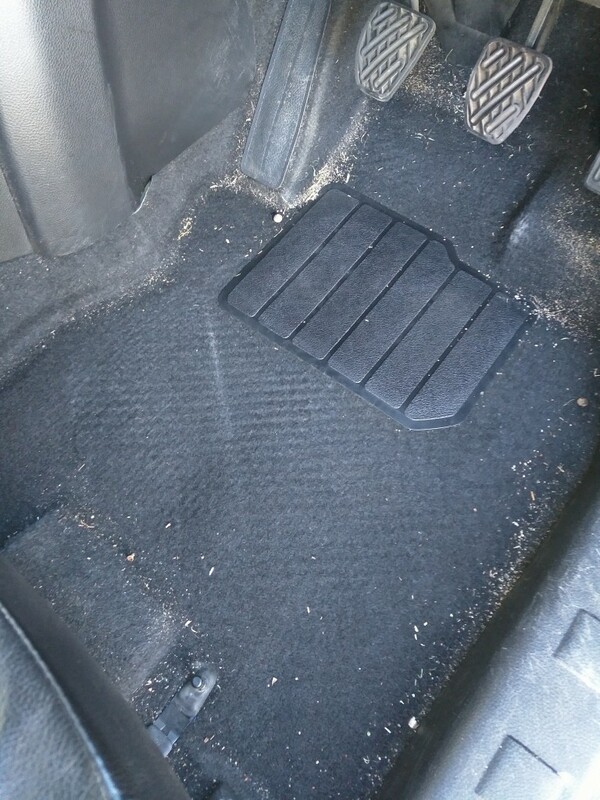 The hardest thing about cleaning a car is getting into all the nooks and crannies that dirt and loose items manage to find their way into. Then there’s the onslaught of sand being ground into the carpet by unsuspecting passengers. 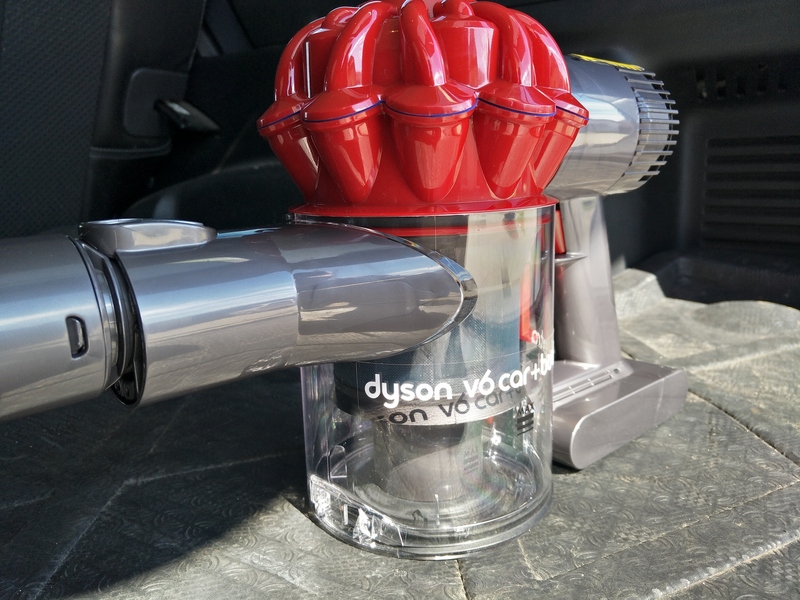 Dyson’s V6 Car+Boat Extra vacuum cleaner heeded the call and after winning me over with its cordless V6 home model, I knew I’d be onto a winner. I’ve tried other cheap cordless vacs in the past, with most ending up in the bin or collecting dust in the corner of my multi-purpose (read junk) closet in the laundry. 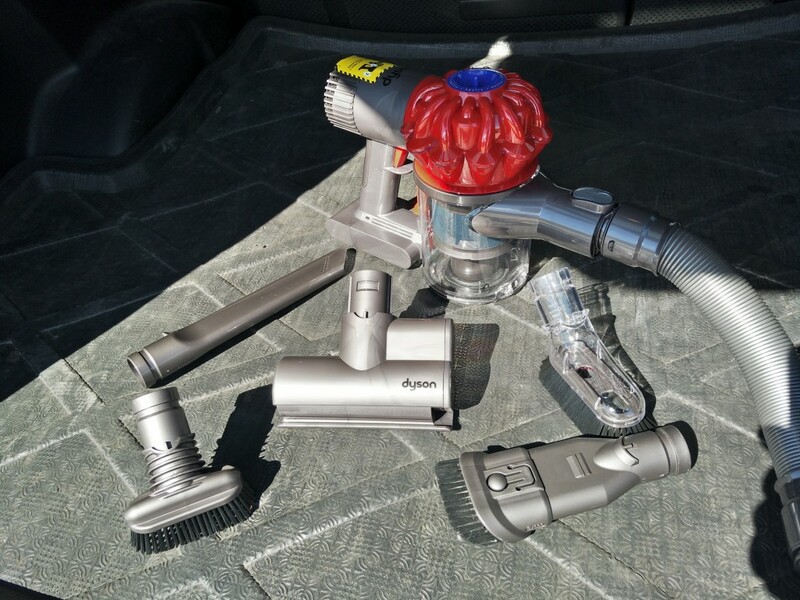 The game changers for me, when it comes to the Dyson, is the fact it is cordless, and because it comes with an extension hose, rather than a stick. This means you can get into all the crevices like the one between the centre pod and the driver and passenger sets. Seriously though, car manufacturers need to close these gaps up. They’re bottomless pits, seriously… end rant. 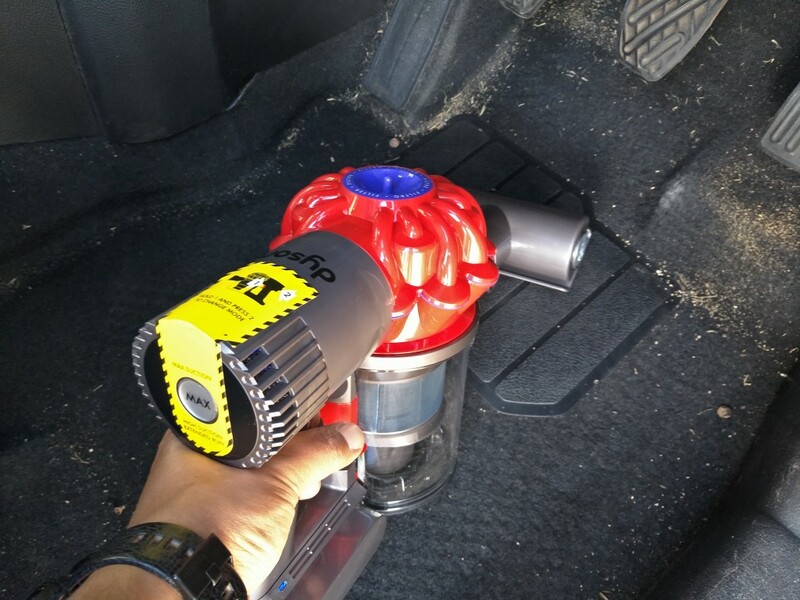 A couple of other sweet additions to the vacuum include a car charger so you can keep it in the boot and ready to go after days at the beach or a big night out when take away tends to end up more on the floor than in drunken mouths. Various attachments make it easy to dust the dashboard and dials, while a motorised tool smashes through ground in grime, as seen in the before and after photo. Seriously, I’ve tried to get that sand out a few times with other vacuums. 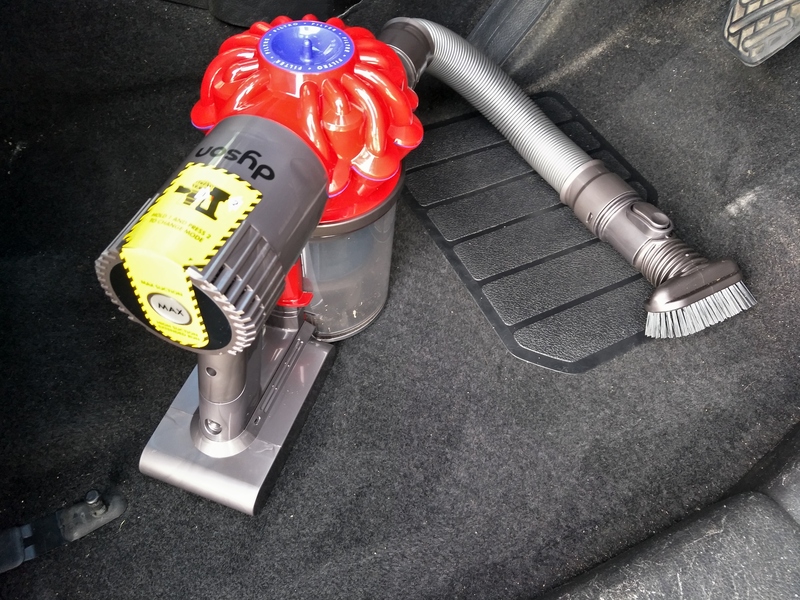 So if you’re looking for a car vac that keeps your pride and joy in tip-top condition, give the Dyson V6 Car+Boat Extra some thought. You’ll pay extra for the privilege, but I can assure you, it’s worth every penny.